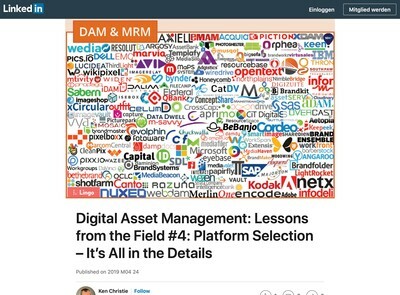 You are here: Home » Emerging DAM Technologies » What Are The Emerging Digital Asset Management Market Trends To Be Aware Of? The connectors point is a good one to open with. I get news items sent to me most weeks now about DAM vendors who have partnered with a third party product, where before many might have made an ill-judged decision to try and build it in-house on top of their own already over-burdened technology stacks. These days, the majority seem to understand that peering as widely as possible offers a potential commercial advantage which makes it more difficult for competitors to usurp, especially for enterprise clients because not only must all the features be present, but the integration connectors too. I think this somewhat old news, however, certainly after reading the article on Microservices that Martin Wilson wrote for DAM News last week (and which follows themes a number of other people have thought of independently as well). I only talk to a select number of ancillary vendors who DAM developers want to connect their platforms with, but I get the sense among them that there is some fatigue at having to either integrate with yet another proprietary product (or open source one for that matter) and deal with a whole new array of technical challenges each time. At a strategic level, there is also uncertainty about who to select as a partner to work with. Over the longer-term, this could go in two ways (and they might not be mutually exclusive). On the one hand, either some kind of interoperability standard that reduces the risk and effort involved in selecting partners and building custom connectors will appear and everyone will start using it. Alternatively, using the aforementioned microservices, the value chain might be established with something else as the platform, not a DAM solution. Given the complete failure of the DAM industry to get very far at even participating in discussions about interoperability, let alone drafting specifications etc, I suspect the former scenario is becoming increasingly likely, but I will acknowledge that the game is far from over yet. As such, the emerging trend isn’t really the connector, per sé, it’s more the efficient management of them instead which might be where anything new begins to emerge. On the metadata commoditisation item, I can see where Toby is coming from with this and after the requisite scrutiny of metadata practices he advises (which I would agree with) I would also expect metadata ‘governance’ to become important. This means more organisations (of all sizes) will realise that common taxonomies which many systems can connect into (rather than everyone implementing their own) will be recognised as being more important. To have fungible commodities, standards are essential. Even if they are not ones that get used outside your own operation, they do have to exist internally (at the very least). It’s worth being aware that concepts like blockchains and distributed ledgers provide some of the groundwork to facilitate all this especially in relation to integrating with systems used by partner organisations, so I can see those playing a part in metadata commoditisation and digital asset provenance considerations. The location-based metatagging section makes some good observations. Toby’s point about DAM branching outside marketing is one I would agree with. I would argue this is already happening, there is just less noise made about it because the operational interests are more diffuse so you tend to hear less about them. This is one of the many reasons why orienting your organisation’s whole DAM strategy around a specific business function won’t scale when you start to want to use it to manage digital assets in other parts of the business. One ’emerging’ DAM software marketing practices trend I predict is a lot of vendors who up until now have pushed their DAM solutions as being entirely marketing-focused being forced to start rowing back and pointing out how re-usable they are for other purposes once the wider opportunity becomes more apparent. Moving to Toby’s point about automation, I don’t believe a ‘continued push towards automation’ is a legitimate emerging trend. What is being described is a phenomena that’s been in-progress for centuries already, more or less since the invention of the Spinning Jenny around three hundred years ago. While it is true we are in the digital phase of the on-going industrial revolution, this is just the wider and longer-term trend manifesting itself. The two consequences of this are increased pressure for simplification of processes to make it easier to automate them and a demand for faster fulfilment (i.e. speed everything up). Most automation is achieved using a combination of the two: by achieving compromises over existing human-centred processes (i.e. negotiated rationalisation) and/or exploiting technologies that can operate more quickly to cope with the complexity. These themes are the same for every technology that exists in the world now (and have done so since the aforementioned invention). On that basis, I do agree with Toby’s advice that ‘without a carefully planned strategy, you risk automating a bad process, which is far worse than doing nothing at all’, but I would not consider it an emerging trend: it’s how things already are now. On the AI subject, I have covered this at length already on DAM News. I believe these solutions are currently being over-promoted and the results are poor relative to the marketing hype associated with them. Where there is an opportunity which could generate some usable results, however, is AI that is more specialised towards specific problem domains. In all the systems that I have seen to date, those that address a specific task, e.g. facial recognition or text recognition etc, produce better results than the generic solutions that claim to be able to recognise anything (and even they tend to use task-specific modules for different recognition tasks). 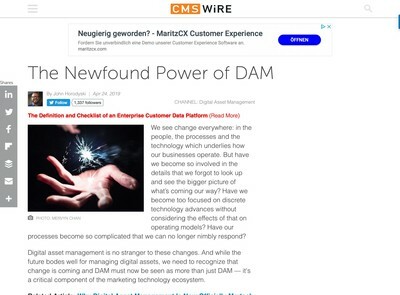 The problem will become a familiar one for those with some experience of managing DAM initiatives: end users want to mix and match a lot of different AI services choosing the best one for a given task, but this is an expensive integration exercise with bespoke expert development teams being needed to orchestrate and connect everything. As Toby noted in the connectors discussion, while a few early adopters might stomach that for a while, most end users won’t put up with it for very long. They will demand that all these things ‘just work’ without them having to deal with the complexity themselves or pay someone each time. As such, the emerging trend isn’t AI (which has over-promised and under-delivered for multiple decades now) it is AI integration and interoperability so that the inherent shortcomings can be resolved without incurring huge costs. You won’t find much written about AI tool integration at present, but I predict it will be more significant as an emerging technology and ultimately eclipse the recognition aspect which currently has more attention. With regard to the increase in the volume of files and expanding range of formats, as with other points, this is not a new trend, it’s always been present in DAM. I take Toby’s point about the formats expanding and that too implies the need for some kind of open-ended file extensible architecture which will support the generation of suitable proxies (i.e. previews etc). Most systems do this already now though as vendors have finally realised this problem has become one that is larger than they can deal with solely in-house. The final item Toby discusses is more DAM competitors. 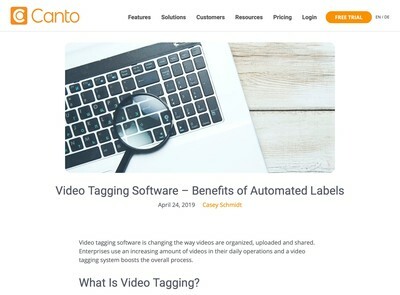 He cites examples like stock photo libraries, WCM vendors and on-line collaboration tools as those who have implemented cut down or ‘DAM lite’ tools. This is another trend that is less emerging and is more like mainstream now. The range of DAM software providers is growing because it’s getting far easier to equip solutions with a range of features that just a few years ago would have needed to have been built from scratch or required in-depth and esoteric knowledge about subjects like media processing etc. Further, a few of the cut-down products are already quite advanced and in some cases, the functionality exceeds what is available in older and more established solutions. To an extent, those who have been around in the DAM software market for a longer period are at a disadvantage because they integrating third party components can become more complicated with a legacy application that has been worked on by numerous different developers over an extended period of time. In my opinion, the microservices trend has some significant potential to re-shape the DAM market and it might eventually lead to some deciding that selling services as opposed to entire platforms (with all the attendant user support complications) is a more profitable market to be operating in. There is a ready-made market of solution vendors who don’t operate in DAM, but who have the hubris to think they can both take it on and see off many of the incumbents. In addition, enough in-house teams in medium-size and larger organisations think DAM is easy enough for them to build themselves. Whether this is a wise decision or not (in both the aforementioned cases) only time will tell, but if there is demand for it, then it seems likely that someone will want to exploit the potential commercial opportunity by providing these services in an easy to consume manner. There isn’t much that is tangible about DAM solutions, the newer ones especially are mainly composite products assembled from different software components (sometimes just rented from a third party rather than owned outright). In the past, much of this was built in-house by vendors themselves. In the near future, the whole piece may get packaged and sourced from external suppliers because it is cheaper, more flexible and the suppliers of the components are eager to ensure any issues get dealt with so they can retain customers and reach a wider market. This is the same wider industrialisation trend that I talked about earlier playing out. This means that concepts like supply chain management which are already widely employed in other sectors will become even more prevalent in our market than they are now. These are arguably more important emerging trends to keep a close eye on. Overall, while I have made a critically evaluated many of the points raised by Toby, I think this is a good article nonetheless. I understand that the motivation for his discussion of a number of the subjects is to reflect a company perspective and to advance Extensis’ own PR objectives, but I do have to acknowledge they need to present their case as a vendor. 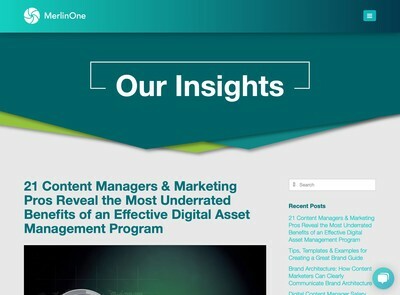 The way it has been approached by Toby does suggest he has both an understanding of (and cares about) Digital Asset Management. That is a rarer commodity among staff of DAM vendors than many prospective end-users might imagine, so in that respect, it is well worth reviewing this and forming an opinion of your own about his thoughts. Next post: What Is DAM’s Role In Social Media?